The Visitor Centre Volunteer will welcome visitors to our visitor centre, providing excellent visitor care. Helping with all visitor centre duties, including; sales, promoting membership and events. Providing an enthusiastic and warm welcome to all visitors as an ambassador of NWT, including answering the phone. Actively promoting and completing sales of NWT membership, to include gift aid and direct debit. 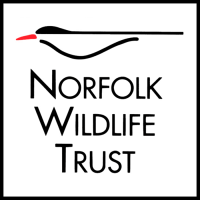 Engaging with visitors, promoting all NWT reserves throughout Norfolk and what can be seen on our reserves today, helping them make the most of their visit. Dealing with sales transactions including operating the till and credit card machine. Actively ensuring the visitor centre is clean and welcoming at all times. Checking deliveries, pricing, re-stocking displays, assisting with stock takes. Flexible. The centre is open 7 days a week, 10am – 5pm April – October and weekends only from November to March.